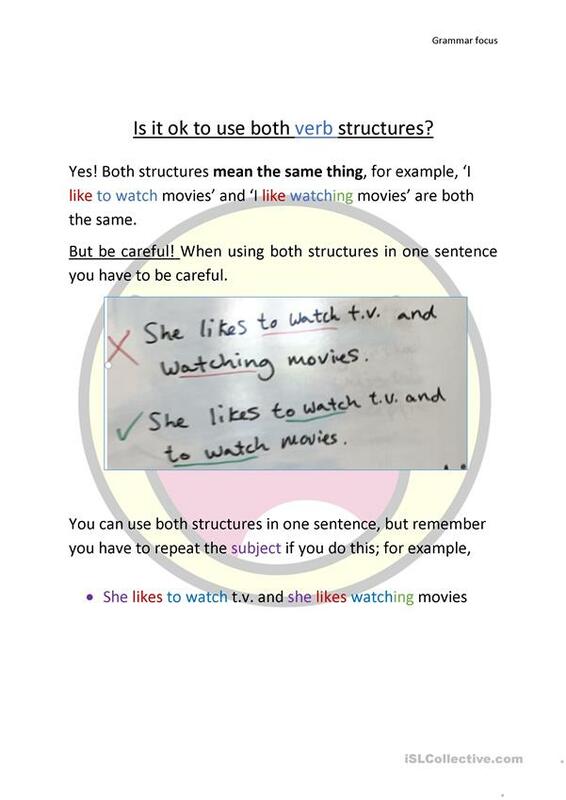 Information sheet and exercises: 'Is it ok to use both verb structures? Yes! Both structures mean the same thing, for example, ‘I like to watch movies’ and ‘I like watching movies’ are both the same. 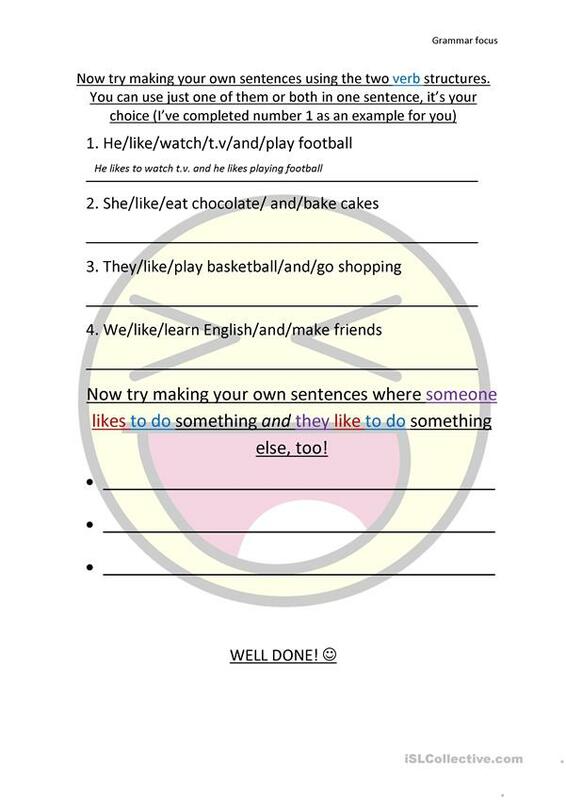 The present downloadable printable is a great resource for high school students and adults at Pre-intermediate (A2) and Intermediate (B1) level. 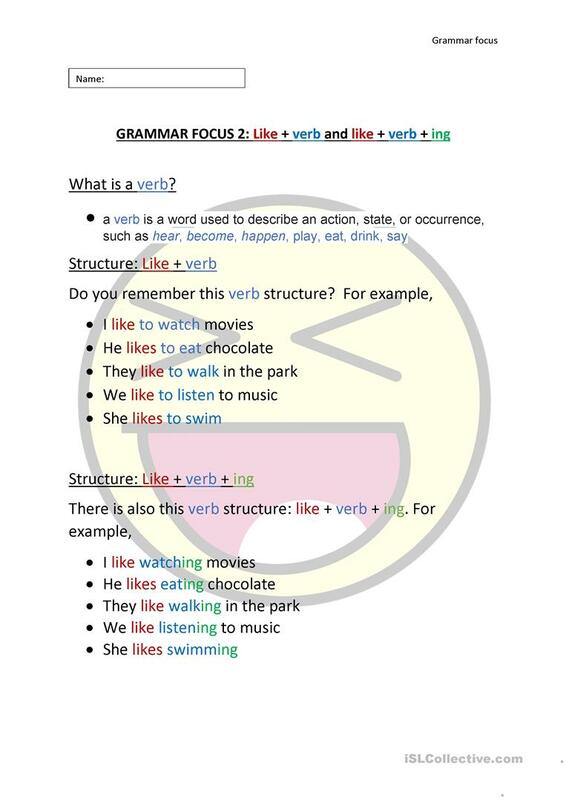 It is a useful material for practising Verb phrase in English, and is excellent for honing your groups' Speaking skills. It is about the topic and words of Hobbies.